400 yrs old Tribal Art Form Warli art originated in Thane Dist. of maharashtra, western part of India, in a village also know by the name Warli. It is situated near Dhanau. Predominately white color is used on a red earthen background. This art is a 2 dimensional, with no perspective or proportion. Warli painting is simple and linear with the maximum use of triangular shapes. As the universal energy YIN/YANG; concept having the upward facing triangle representing the Male and the downward facing triangle representing the Woman. The trademark of Warli paintings is the use of other geometric designs such as circles, squares, dots and crooked lines are used to depict human figures, animal figures, houses, crops etc. It also represent fertility as the tribal belief revolve around the cycle of Birth and Death. No wedding takes place without the drawing of "mother Goddess" in the front portion of the Bride's house. Usually the paintings are done by married women. The Warli paintings essentially depict the basic principals of life which are main theme or basis of any tribe. Note:it's very economical and kids friendly project. Beautiful painting with good intro about the art. Thanks for the information. the colour theme is very nice. Thank You for dropping by my blog. I am glad you did as I love checking out new blogs and as you are Indian it is even more fun! thanx soniya,malubo,sarika ,mira and rachana. 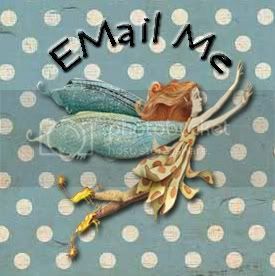 @rachana,hope u r talking abt envelope. lovely!Warli is such a beautiful and interesting art form.Yours look so colourful and pretty. 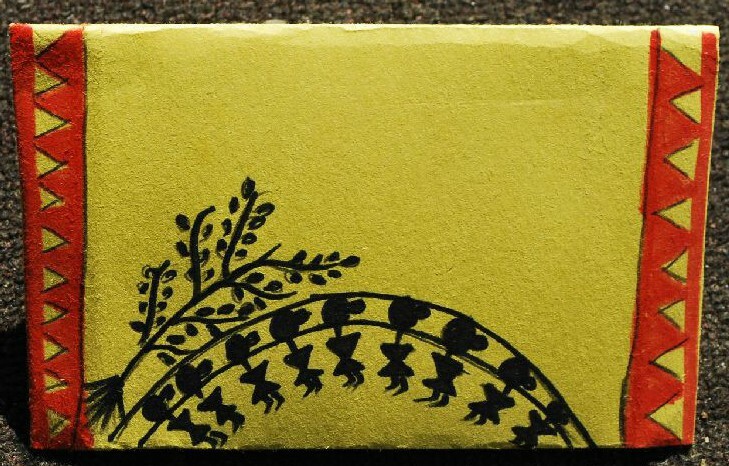 great post.love all the info on warli and your art is beautiful. 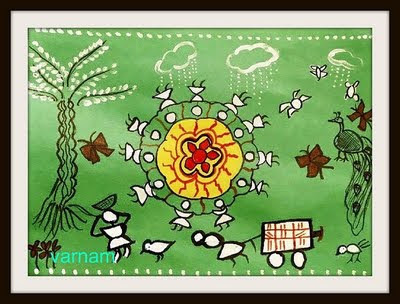 Nice to see unusual colors in a warli painting, thanks for linking this to The Keybunch carnvial.